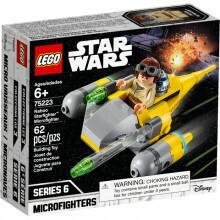 Get set for fun-sized battles with the LEGO® Star Wars™ 75223 Naboo Starfighter Microfighter. Part of the LEGO Microfighters Series 6 collection, this mini-sized version of Anakin Skywalker’s favorite starship has lots of authentic details, plus 2 flick missiles, R2-D2's dome and space for the young Skywalker pilot minifigure with his wrench. 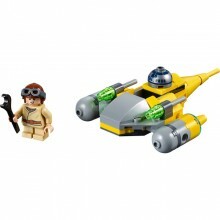 Includes a young Anakin Skywalker pilot minifigure with mini legs and R2-D2 droid dome. 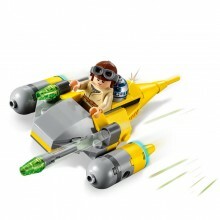 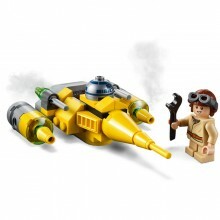 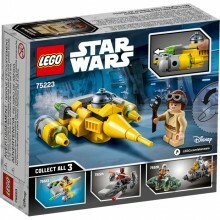 LEGO® Star Wars™ starship features 2 flick missiles and space for Anakin.